How familiar are you with the plumbing pipes in your multi-tenant building in Chicago? 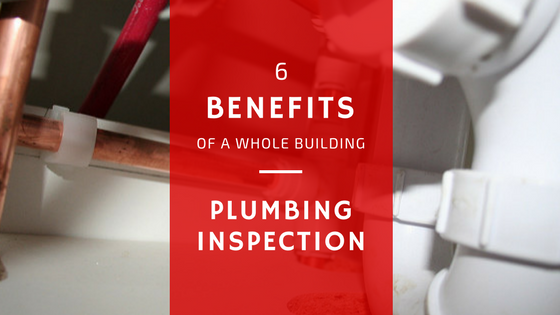 If you haven’t given them much thought aside from random plumbing maintenance, now is a good time to get a whole building plumbing inspection. These inspections are designed to tell you everything about your pipes, including their age, corrosion levels and the remainder of their useful lives. As a Chicago property manager, it’s imperative that you understand your plumbing system’s immediate and future needs. A plumbing inspection involves threading a small camera through your plumbing pipes in order to visually inspect them. This means that all our plumbers have to do is locate an access pipe. No holes are drilled through your walls, and the camera does not damage your building’s pipes. As the camera moves through your pipes, the images are transmitted to a small monitor and recorded. This allows our plumber to make notes on where your plumbing pipes are cracked or broken so that you can schedule immediate repairs and identify areas of water, mold and mildew damage so that it can be replaced before they present a significant health hazard to your residents. In multi-story buildings, it is imperative that you know the water pressure on each floor, especially the top floors. When water pressure is too high on the lower levels, it can damage the pipes, causing blowouts. When water pressure is too low on the upper floors, it can affect the way water using appliances operate, and your residents will complain of low water pressure for showers. Getting a plumbing inspection that includes water pressure tests can help you identify and remedy areas of low and high water pressure. Most plumbing pipes are designed to last between 20 and 75 years. A plumbing pipe inspection can tell you the ages of your pipes and the amount of expected useful life left in them. This gives you the opportunity to plan for future plumbing pipe replacements or to schedule a plumbing pipe restoration, which includes cleaning and lining your pipes with either an epoxy liner or epoxy coating. Severely corroded pipes are more prone to breaking and can leach harmful chemicals, like lead, into your water. If your potable water is full of lime, it can slowly damage fixtures and water using appliances, like dishwashers, washers and coffee makers. Pipes that are extremely corroded should be cleaned and lined or replaced. Every time a pipe breaks, it causes extensive water damage, including damage to drywall and finishes. It may even result in mold and mildew if the severely corroded pipe isn’t replaced or restored in a timely manner. Plumbing pipe inspections allow you to plan for pipe maintenance and repairs before your building experiences an expensive blowout. As a Chicago property manager, it is important that you understand all the critical systems in your building, including your plumbing pipes, so that you can schedule timely maintenance and make repairs before they result in excessive sudden expenses. One of the ways you can keep your building operating smoothly is with a plumbing inspection. Our whole building plumbing pipe inspections include an estimate for pipe lining and a details report of the condition of all your pipes. Lining your pipes helps seal and prevent future leaks and corrosion. It also extends the useful lives of your existing pipes without the added expenses of replacing removed drywall or other finishes after your pipes have been replaced.